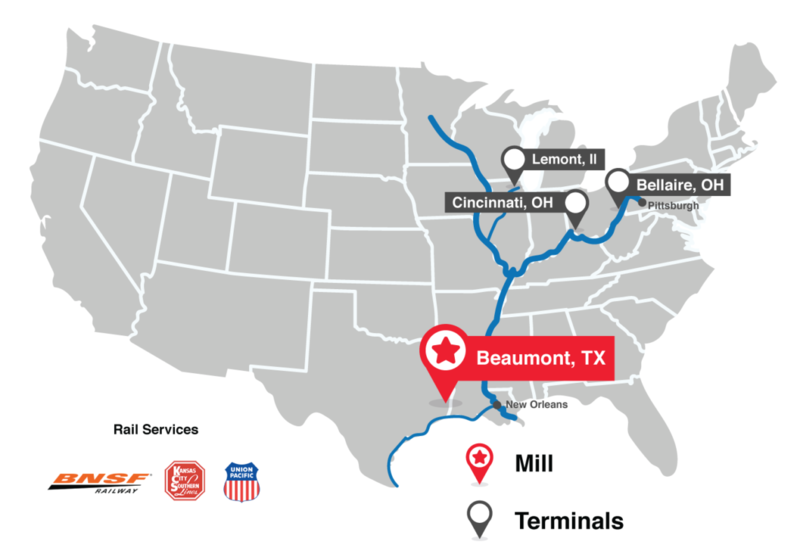 Located in Beaumont, Texas, Optimus Steel produces a wide range of high-quality Wire Rods, Coiled Rebar, and Billets. Optimus Steel Wire Rods are produced following customers’ strict requirements and specifications. Our coil size helps customers optimize their processes for a variety of construction projects such as roads, bridges and parking decks. Optimus Steel produces Billets through our high-tech continuous caster.